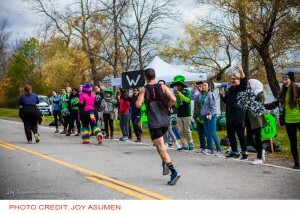 The Niagara Falls International Marathon is a not-for-profit organization that relies on over 1,000 volunteers on race weekend. This is a great opportunity to become involved in the community, meet new people and acquire volunteer hours. Opportunities exist for registration, traffic control, water stations, course entertainment, finish line and more! All volunteers will receive a FREE shirt to wear over Race Weekend. 2018 dates are Saturday October 19th & Sunday October 20th.